Peoples Bank operates three full-service branches with ATMs in Paris, Texas. Its small business offerings include business checking, business loans, commercial line of credit and commercial real estate financing. Peoples Bank has a mix of positive and negative reviews online. Peoples Bank has three physical branches with ATMs available, all located in Paris, Texas. You can use its Locations page under the About Us to see what its operating hours and street addresses are. 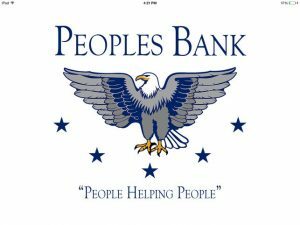 Peoples Bank also offers the following business services: online and mobile banking, business checking accounts, business term loans and business lines of credit and commercial real estate loans. Currently, it doesn’t offer business money market accounts, business credit cards, Small Business Administration loans or wealth management services. Find out more about its small business offerings on its website.